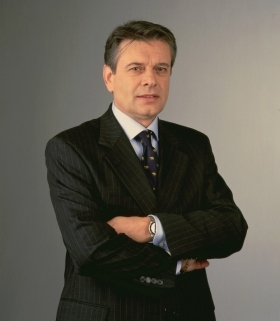 Alfredo Altavilla is a Chrysler board member and key ally of Sergio Marchionne. TURIN -- Fiat has appointed company veteran Alfredo Altavilla as head of the automaker's money-losing European operations. Altavilla succeeds Gianni Coda who is retiring after 33 years with Fiat, the company said today in a statement. 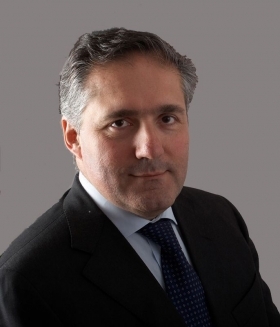 Altavilla will also head Fiat's Middle East and Africa regions in his new role. Altavilla, 49, will give up his post as head of Fiat's truck-making unit, Iveco, but will continue to coordinate business development activities for Fiat Group. In this role, Altavilla is a key aide to Fiat-Chrysler CEO Sergio Marchionne and, with Marchionne, is one of only two Fiat executives serving on the board of Chrysler Group. Altavilla's new title is chief operating officer of the Europe, Middle East and Africa region (EMEA), effective immediately, Fiat said. Marchionne paid tribute to Coda's long service with the automaker including his eight-year stint as the automaker's purchasing boss. In other changes, Fiat said Richard Tobin will become chief operating officer of Fiat Industrial Group to enhance the merger of Iveco with CNH, the company's agricultural equipment maker. Tobin will retain his role as CEO of CNH. Gianni Coda was a long-serving head of Fiat purchasing. Coda, 66, is a mechanical engineer who joined Fiat Group in 1979. During his career, he was head of Latin America and the Fiat-Lancia business units before taking charge of purchasing in 2004. Altavilla, an economics graduate, started at Fiat in 1990 and has served as head of Fiat's China, Turkey and powertrain operations. He was responsible for developing alliances between Fiat and other carmakers including General Motors and PSA/Peugeot-Citroen from 2000 to 2004 and also had leading role in Fiat's acquisition of Chrysler in 2008-2009. Altavilla has a tough task to regain sales and market share for Fiat in Europe. In the first nine months, Fiat Group unit sales fell nearly 17 percent to just under 624,000 vehicles in the EU and EFTA in a total market down 7 percent. Fiat's market share declined by eight percentage points to 6.4 percent in the same period, according to industry association ACEA. Fiat expects to lose 700 million euros in Europe this year after losing 500 million in the region in 2011.